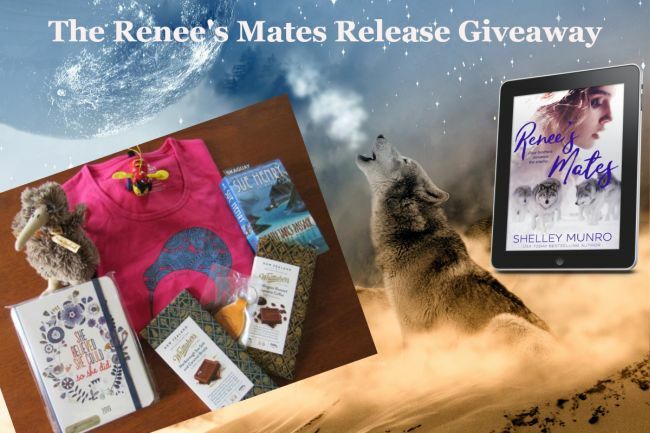 To celebrate the release of RENEE’S MATES, I’m holding a giveaway. To Enter: Complete the giveaway rafflecopter below. Open to all, including International readers. Prizes cannot be exchanged for cash or anything else. Contest closes on 2 December 2018 (New Zealand time). Winner will be notified by email after this date. I will do my best (100% plus) to get the prize to the winner via mail, but I will not be responsible if the unforeseen should happen and the parcel goes AWOL in the mail. Your details will be never be shared or sold to other parties. Full Privacy Police here.